The documentary program at the Sundance Film Festival is often the launch pad for the non-fiction filmmaking that you’ll be talking about all year. Just look at what premiered there last year: “Kurt Cobain: Montage of Heck,” “Listen to Me Marlon,” “Going Clear,” “The Hunting Ground,” “Cartel Land,” “Best of Enemies,” “The Wolfpack,” and many more. And that was just in one year. This year’s doc program had people buzzing in Park City, and we’ve already covered “Life, Animated,” “Lo and Behold” and “Kate Plays Christine,” with more to come. Three documentaries this year chronicle survivors, people who have been through the unimaginable or faced adversity and kept on fighting. I'll be honest: I was more scared to watch “Newtown” than any film in this year’s horror-centric Midnights program. Just thinking about what happened at Sandy Hook Elementary School in 2012 can make me cry, especially when I think about what it says about the world in which I’m raising my three sons, one of whom is the age right now that most of the kids were when they were shot on that horrible day. What happened on that day in Newtown is so horrific that it’s almost unfathomable. “Newtown” focuses on the survivors—the parents, the teachers, the responders, the neighbors, the community that has to endure life after the unimaginable. How do you go on? How do you survive? There’s no way we could properly “understand” what it’s like to lose a six-year-old child. It’s not something that can be put into words or on film. And what’s great about Kim Snyder’s film is that it never feels like it’s seeking to do that. This is not an “explainer”; it’s not a film designed to give us details about its event and its aftermath. It’s almost more like a memorial in the sense that Snyder’s approach is more emotional than direct. We hear from parents who more often speak about how their children lived than how they died. At the same time, we also hear from the people who were at the school that day, and even from an officer who saw the crime scene for himself. Most of all, we hear from the people left behind, parents who still dream that their children are alive. It’s a film conveyed through, and likely watched through as well, tears. We feel the grief of the people caught in the wake of abject horror, and we shouldn’t be afraid of those kinds of emotional experiences in cinema. HBO’s “Jim: The James Foley Story” is nearly as emotionally devastating as “Newtown,” although the horror of it takes place on the other side of the world. However, the cinematic approach is similar in that director Brian Oakes focuses on those impacted by the life of his subject instead of the brutal details of his death or his executors. This is not an overtly political documentary. It’s a study of a man whose death really sparked the ongoing conversation about ISIS and the role of conflict journalism. As captured by those who knew him best in the film, Jim was an outgoing, charismatic, kind man, and Oakes, a close childhood friend, really turns him from a headline or a symbol back into a human being. He does so by speaking with so many people who knew Foley. Of course, there’s his family—two brothers, his mother, and his father—who still grieve their loss but also remember Foley fondly. Their grief is hard to imagine, but they don’t let “Jim” turn into a dirge, focusing on what made Foley so much more alive than most people even in his short time on Earth. 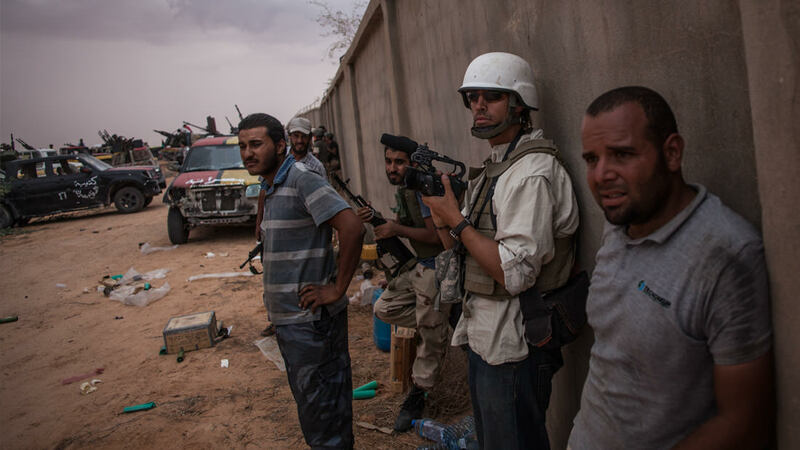 Oakes gets similar reports from Foley’s fellow conflict journalists, men and women who describe a man who could be quiet but had a really strong sense of right and wrong. When Foley reported on a Syrian hospital so poorly funded that people were being transported in cabs with IV drips, he got it an ambulance. Foley felt he was doing good by shining lights into corners of the world covered in darkness. And Oakes even speaks to the men who were held captive with Foley. They tell us of a person who, even in a living Hell, never lost his humanity. “Jim” will be on HBO on February 6th. We’ll write more about it next week, but know that it’s pretty special. Finally, there’s the infuriating “Trapped,” a film by Dawn Porter, who directed the excellent “Gideon’s Army,” which premiered at Sundance in 2013. Porter travels to the South of the United States this time, where Pro-Life legislation is essentially making abortion illegal through impossible-to-follow restrictions. These laws are called “TRAP” (Targeted Regulations of Abortion Providers) laws, and they include such things as randomly deciding that abortion clinics can’t be within 2,000 feet of a school or that all doctors there have to be certified by a local hospital, many of whom are run by Pro-Life organizations. 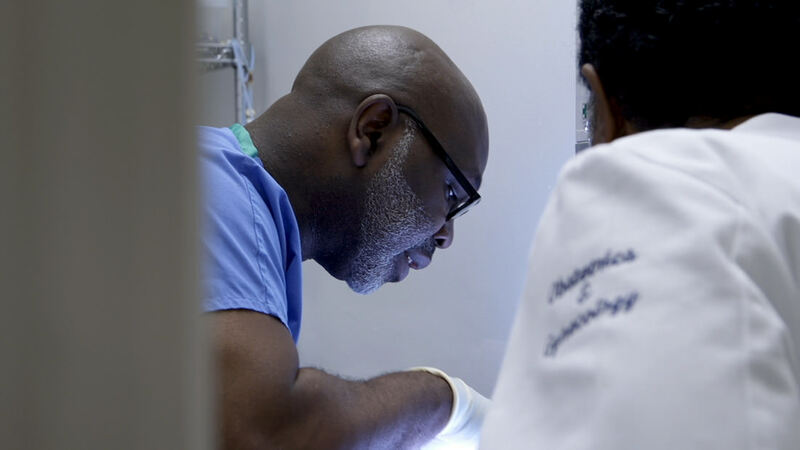 Porter focuses on the men and women who work in these clinics, which often have to close while they figure out how to either fight the new restrictions or operate within them. It would be so easy to just give up. It would be so easy to realize that these clinics are in a state with a local government that doesn’t want them that. But the men and women in Porter’s film can’t give up because they know it’s about the safety of the women who need them. They’re fighting an uphill battle but it’s not only an important one but intrinsic to who they are. In some way, that's what people are doing in "Jim" and "Newtown" as well: fighting battles against grief and loss. And by watching these people fight, it makes us stronger.